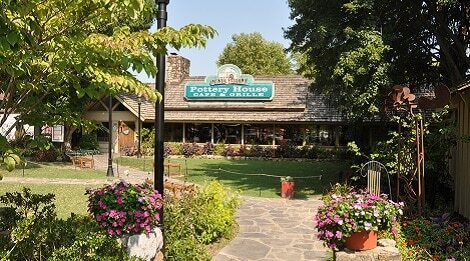 The Old Mill Pottery House Café & Grille is the finest and most picturesque dining experience in the Smoky Mountains. 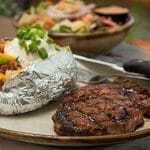 Here you will find the highest quality steaks, southern catfish and fresh seafood, as well as other southern comfort foods. 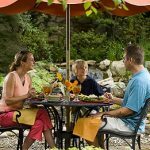 Other menu items include garden fresh salads made to order, delicious sandwiches, burgers, hearty homemade soups and freshly baked breads made with wholesome grains stone ground at our historic Old Mill. Traditional fermentation is used to fully develop the natural flavor of the wheat resulting in an exquisite loaf of classic artisan breads. 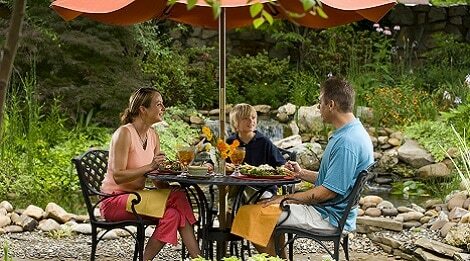 Our specialty breads combine delicious all natural ingredients including whole grains, garlic, olives, cheeses and more giving our bread great flavor and Old World character. Our plates, bowls, salt shakers and even our bathroom sinks are handcrafted by our skilled artisans next door at Pigeon River Pottery. Come and experience our quality and our heritage. 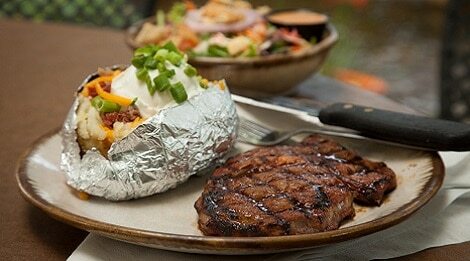 Top off your meal with a delicious homemade dessert. Choose from cakes, pies, brownies, cheesecake and more! 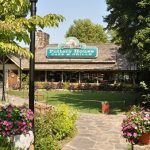 Old Mill Pottery House Cafe and Grille – Enjoy dining outside by the fountain or inside the warm, inviting dining room featuring a large stone fireplace for the chillier months. Daily: 11:00 a.m. – 9:00 p.m.